SATURDAY, Nov. 15, 2014 (HealthDay News) -- Regular running doesn't seem to increase your chances of developing knee osteoarthritis, and it may even help prevent the disease, researchers report. The researchers analyzed data from more than 2,600 people who provided information about the three most common types of physical activity they did at different times in their lives. The average age of the study volunteers was 64. The time periods asked about were 12-18, 19-34, 35-49, and 50 and older. Among the participants, 29 percent said they were runners at some point in their lives. Runners, no matter what the age when they were active runners, had knee pain less often than people who didn't run, according to the study. They also had fewer symptoms and evidence of knee arthritis than non-runners did, the researchers found. The findings indicate that regular running does not increase the risk of knee arthritis, and may even protect against it, concluded the authors of the study. "This does not address the question of whether or not running is harmful to people who have pre-existing knee osteoarthritis," lead author Dr. Grace Hsiao-Wei Lo, Baylor College of Medicine, said in an American College of Rheumatology news release. "However, in people who do not have knee osteoarthritis, there is no reason to restrict participation in habitual running at any time in life from the perspective that it does not appear to be harmful to the knee joint," she added. Previous research on a possible link between running and knee arthritis focused on elite male runners, so those findings may not have applied to the general population, the researchers noted. 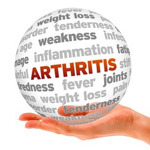 The new findings are to be presented Saturday at the American College of Rheumatology's annual meeting in Boston. Findings from meetings are considered preliminary until published in a peer-reviewed journal.